Koh Kradan, one of Thailand's many beautiful islands, is known for its white sandy beaches and incredible views. 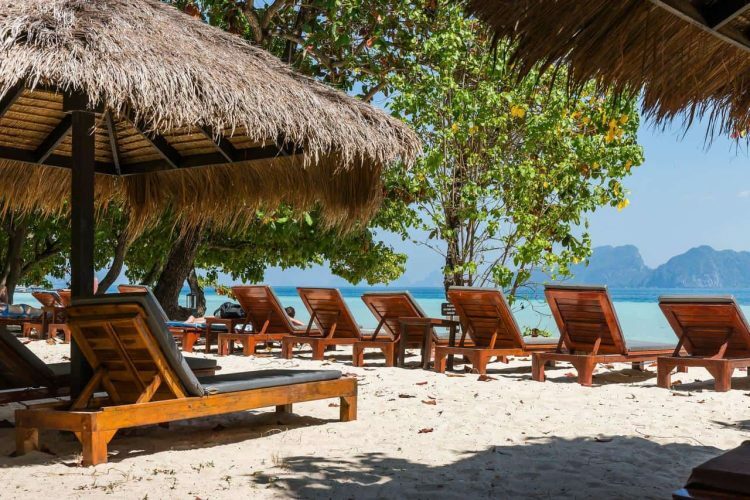 Koh Kradan is peaceful, quiet and perfect for a day or two of sunbathing and relaxing. Apart from the beaches and ocean, there are few activities to do on this little island. But don’t worry, that shouldn’t strike this serene island off your itinerary. You’ll never be too far from a speedboat that can whizz you off in a flash to another island for a day of fun and adventure. The island is located in the Trang province of Thailand. We recommend taking a speedboat or ferry from one of the nearest islands to Koh Kradan. 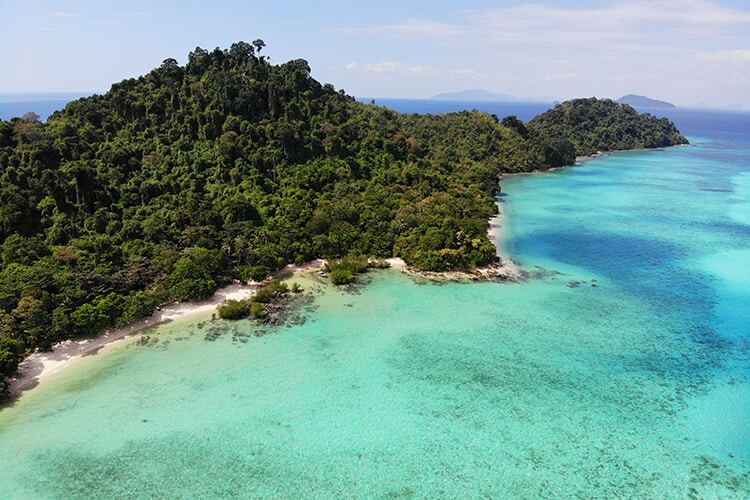 Koh Ngai and Koh Mook are a mere 30 minutes away, while Trang island is an hour away. Traveling to Koh Kradan from some of the more popular islands like Phuket would take you 3 and a half hours, while traveling from Phi Phi island would take 2 and a half hours. 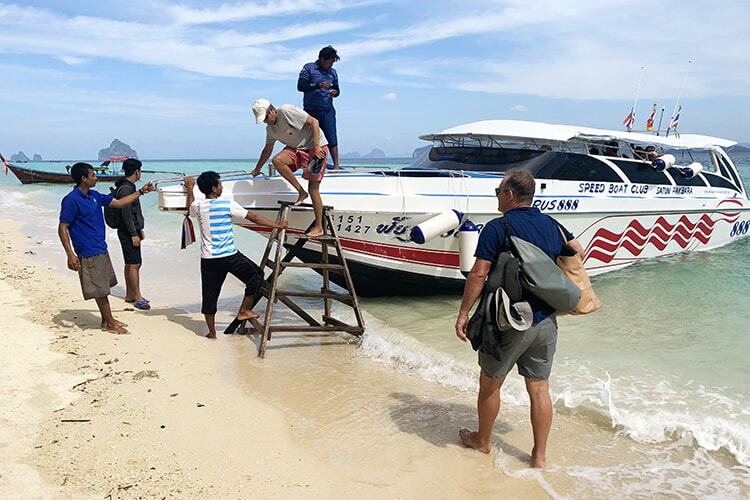 We love checking transfers on 12Go.Asia to get us from point A to point B. Click to find your speedboat transfer here. 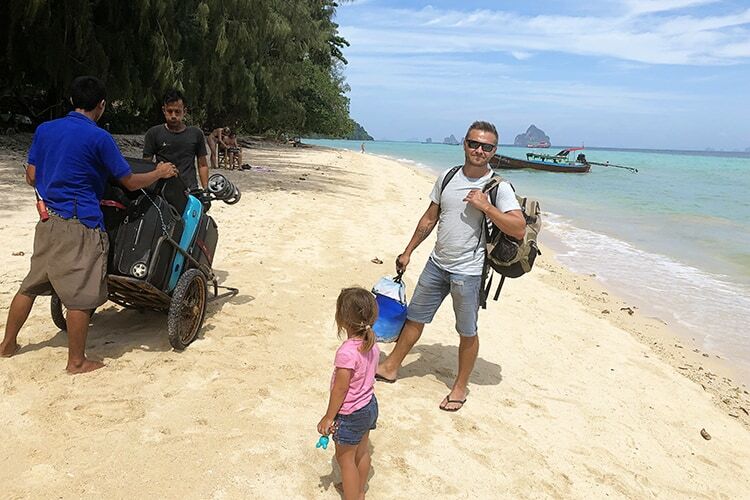 Once you arrive at the beach of Koh Kradan, you will find your accommodation transport trolley ready and waiting. There are no cars on Koh Kradan, so the poor guy from your hotel will have to drag this trolley with the luggage all the back to the hotel (do give him a small tip for the hard work). 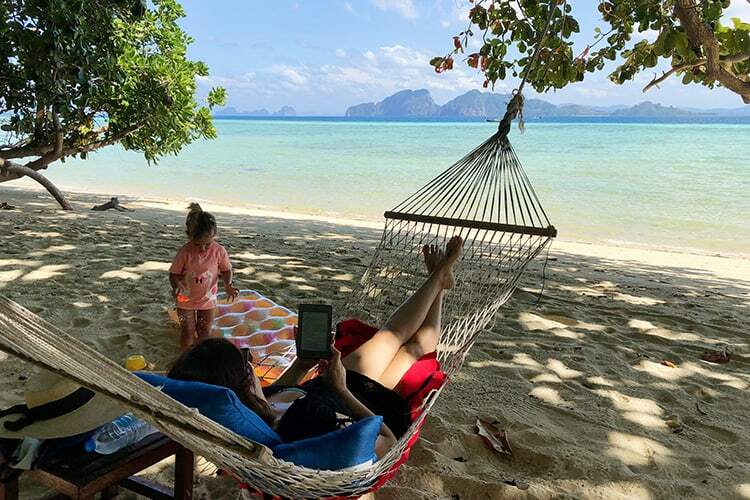 Koh Kradan is yet another one of Thailand's incredibly beautiful islands, however, accommodation on this island is a bit pricier than that of the other islands. This is due to the fact that there are a small number of hotels or resorts competing against each other. This phenomenal location right on the beach is a great setting to spend the day watching the sunset and going for walks along the shore. Just a 5-minute walk to the nearest speedboat, you’ll be able to island hop from this resort fairly quickly. The restaurant located inside the resort serves great food at a reasonable price. And the manager and staff are all friendly and courteous. 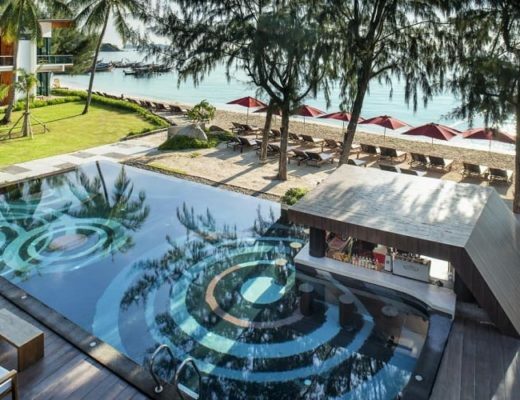 Although Koh Kradan’s accommodation is generally overpriced, The Reef Resort is where you’ll get the most value for your money on the island. >>> Check prices for this resort on Booking.com here. 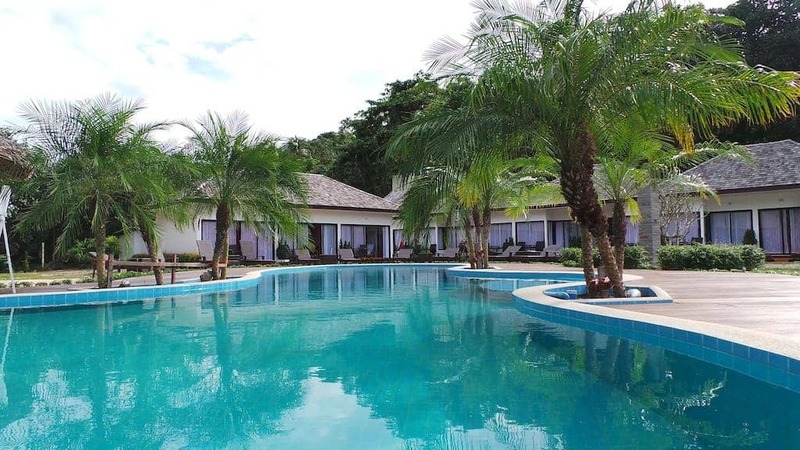 The Seven Seas Resort is a luxury resort located right on the beachfront in front of crystal clear waters. The service and the facilities here are great. Although in our opinion, this resort is a little pricey, if you have some cash to spend, it’s worth the visit. The food here is slightly repetitive as the same menu is served for lunch and dinner. The food is not quite up to a luxury standard, so we recommend heading someplace else at meal times. 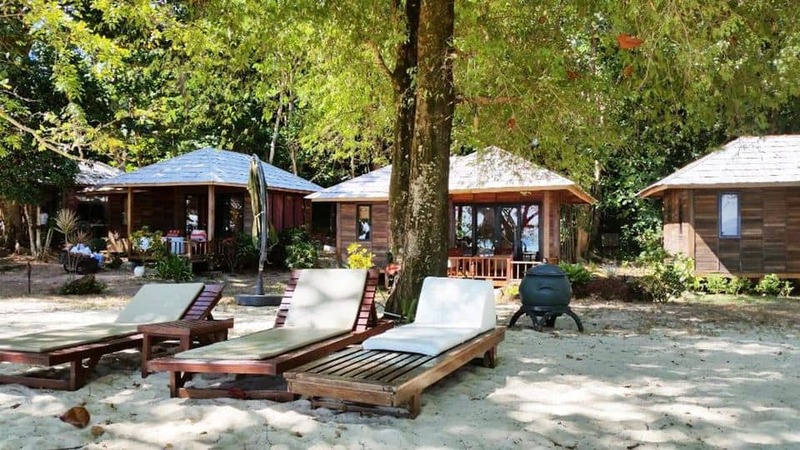 The Coral Garden Resort is idyllically located in an undeveloped part of the Koh Kradan island. If you’re looking for an escape to a quiet and remote area, this is the place to go. 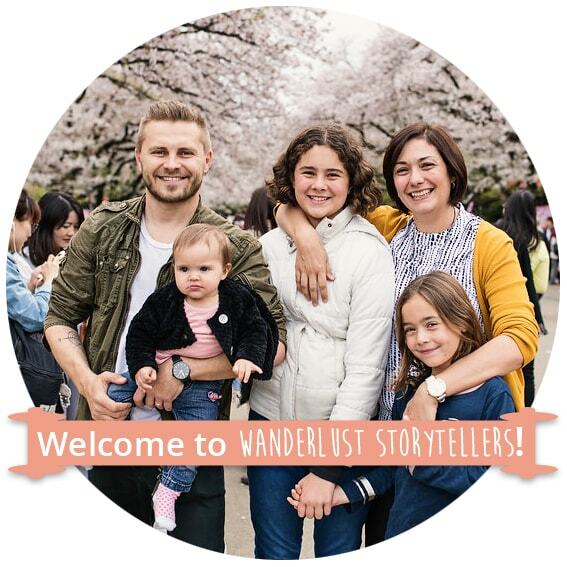 While wandering the area, you’ll get the feeling that this is an untouched place, made just for you. We stayed at this resort ourselves, and whilst I wouldn't class it as luxurious, our little house was comfortable, lovely and large in size and was located right at the beach. (Tip: ask for the beach house furthest away from the restaurant). Friendly staff and clean, well-kept rooms add to a great experience. If you’re planning a trip to Koh Kradan, this is a great resort to check out. Many people recommend snorkeling on Koh Kradan but we found it to be less enjoyable than other dive sites. There were plenty of fish to be seen but there was limited colorful coral (but then we are from Australia and our underwater life here is AMAZING). What we did love, was the beautiful clear water, and the totally gorgeous backdrop of the surrounding islands. 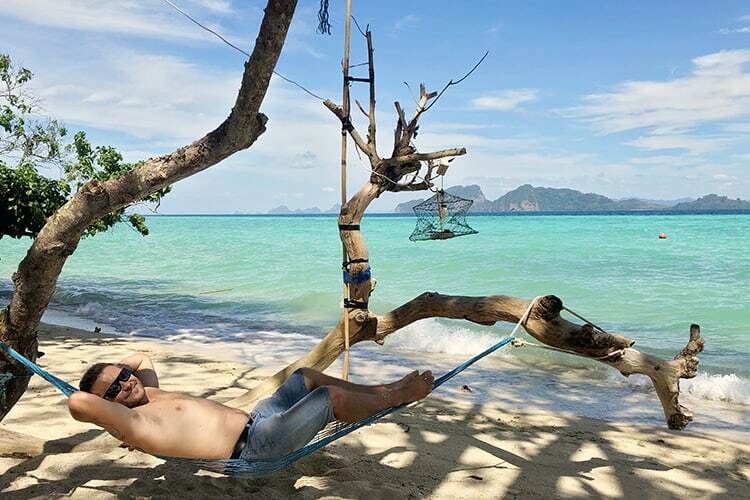 All the activities in Koh Kradan revolve around the beaches. There are really only two beaches in Koh Kradan. 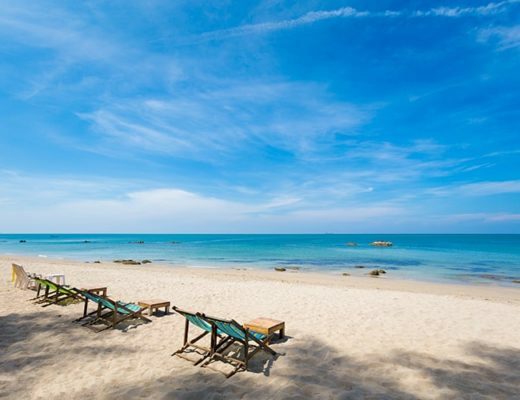 The main Koh Kradan beach is the long beach where all the hotels and resorts are located. You will also find some beach furniture on this beach as well. Spend the day drinking cocktails at one of the resorts located along the seashore. Later on in the day, take a Kayaking trip through the shallow waters that surround the island. 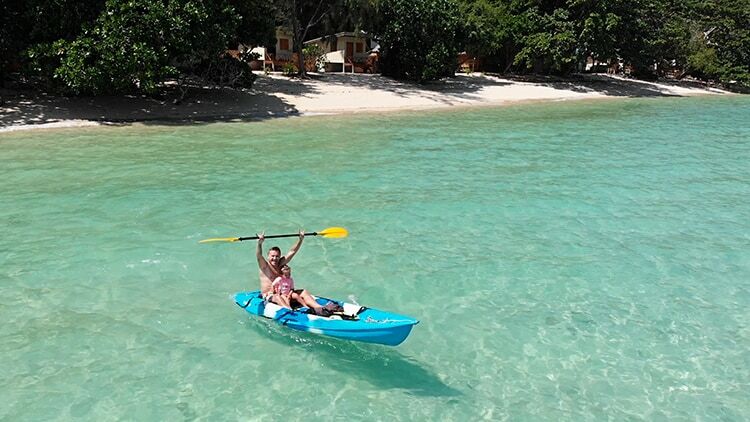 Most of the resorts provide kayaks as a free added extra, so why not take advantage of it? 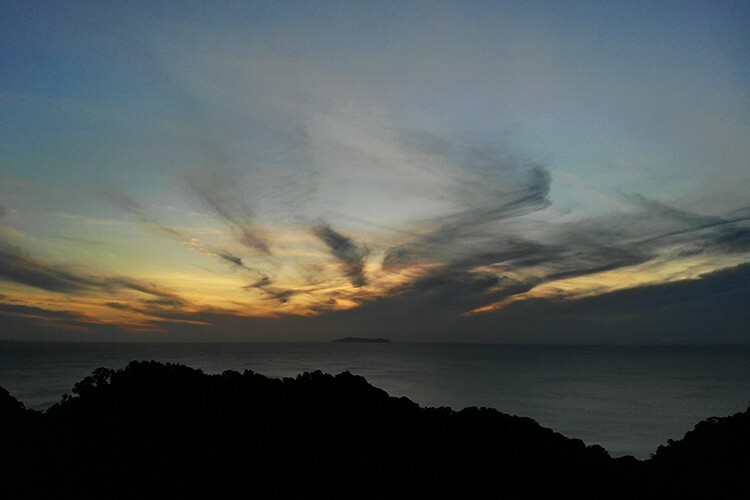 In the evening, visit Chonglom Bay Beach also known as Sunset Beach, and there’s no question as to why. Just a short walk through the islands lush jungle will bring you to this little piece of paradise that will be well worth the walk. Be sure to get there before sunset, so you can get a marvelous view from this lovely beach (and take some mosquito spray and a flashlight with you for the walk back). NOTE: It’s important to note that the island almost fully shuts down in the quiet season, so be sure you’re going between December and February. While there is much to be said about the good things about Koh Kradan, the food isn’t one of our favourites. We found it to be below average standard in comparison to the rest of Thailand. While the food isn’t terrible, we recommend hopping on a boat to the nearest islands (Koh Ngai & Koh Mook) to fill up on a tastier meal. There aren't any shops to buy any supplies, so be sure to bring some snacks etc. with you. 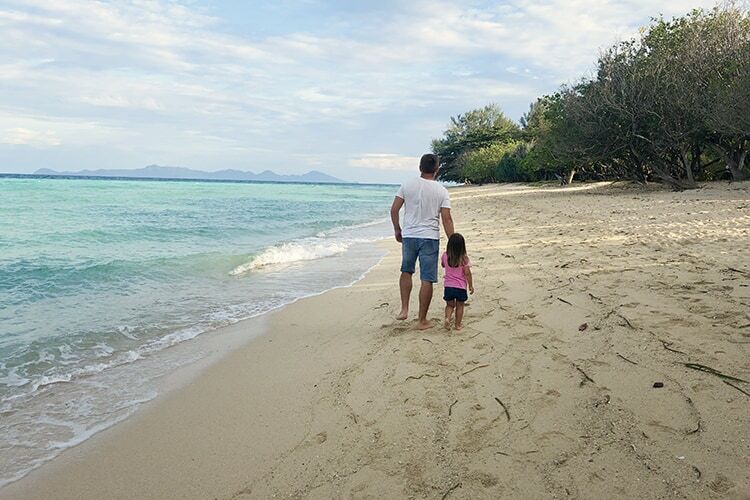 This island is nothing but gorgeous, tranquil and peaceful, however, if you’re looking to make the most of your money, we recommend exploring one of the nearby islands like Koh Mook or Koh Ngai as well. Koh Kradan is definitely worth a day trip, and if you have time we highly recommend staying for a few nights. We totally enjoyed the quiet island where we the only item on our itinerary was relaxation.